Archos has today unveiled a new line of Android tablets in the form of the Archos Gen10 XS, which consists of three tablets the Archos 97 XS, Archos 80 XS and Archos 101XS. The Archos 101XS is set to be officially launched in November and will be available to purchase for around $400. The other two Android tablets in the range will launch late in 2012 but no specific date has been announced by Archos as yet. All Archos Gen10 XS Android tablets come supplied with Google’s Android 4.0 Ice Cream Sandwich (ICS) operating system installed, but will be upgradable to Google’s latest Android 4.1 Jelly Bean operating system before the end of 2012 says Archos. 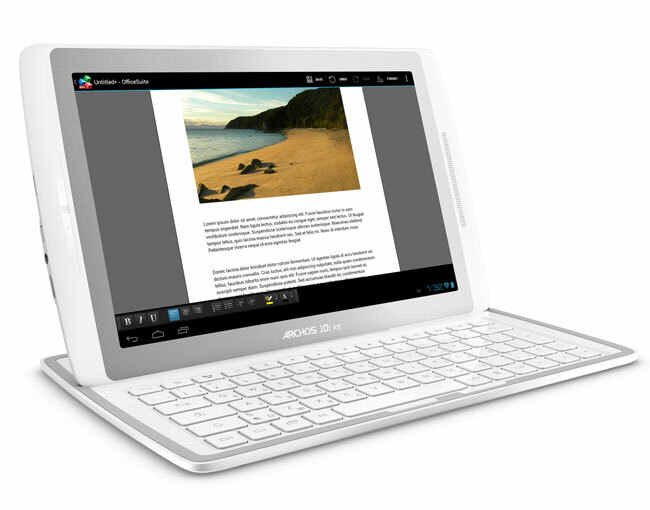 One of the unique features of the Archos 101XS is that it comes with a magnetic docking full-size QWERTY keyboard that also doubles as a protective cover, which uses the tablets battery for power. The range of tablets will be powered by a 1.5 GHz smart multicore processor supported by 1GB of RAM. For more information and specifications on the Archos Gen10 XS jump over to the Archos website for full details on the new product line.